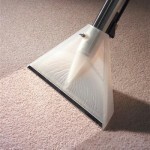 Carpet cleaning in London or anywhere isn’t just a case of vacuuming and sweeping. It’s a high tech game nowadays that calls for experts who know the right tools and techniques to get the best job done. 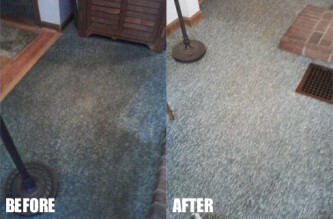 Did you know that within a square inch of your carpet there can reside 180,000 or more bacteria and other germs? This concentration of microscopic contaminants calls for the most advanced techniques of cleaning. Fox Cleaners only uses the best eco friendly materials to make sure the carpeting is not only cleaned but retains it’s good look and fiber integrity. Using these safe materials means a safer home or work environment and a greater value in the short and long term. Our team of professionals are thoroughly trained in keeping you healthy with their tools and techniques but also leaving your residence or business looking good. Fox Cleaners backs up everything with a 100% money back guarantee and the customer reviews of our services and professional conduct are glowing to say the least. 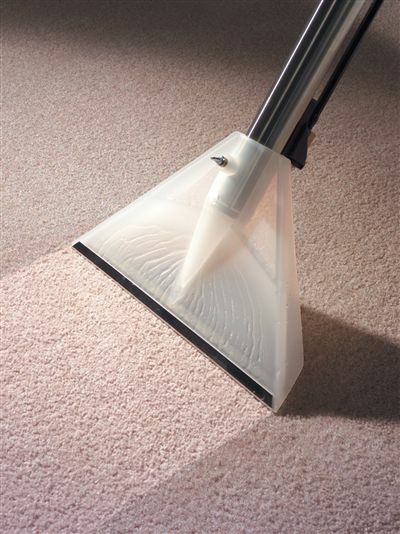 We clean the carpet with a professional vacuum cleaner designed to use low energy and are equipped with water filters, powerful brushes and air tight sealed systems. 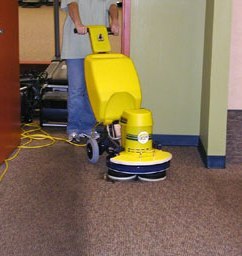 This allows for 99.97% of the dust and other contaminants from the carpet. 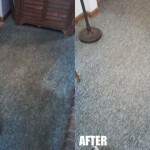 The second part of the process is a deep brush scrubbing that is combined with vaporized water steam that uses the best carpet cleaning system available on the market. 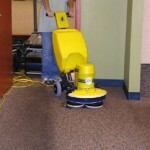 It’s a given that steam cleaning is the best method to use and the standards are well proven. Heating the carpet to 200 degrees Fahrenheit, the heat and steam weakens the bonds between the dirt and the fibers of the carpet and it doesn’t give bacteria a chance to stay around either. Bacteria and germs just get wiped out. The final result is the most astonishing and absolutely clean carpet that brings out the colors and vibrancy. It leaves a healthier environment for home and work too. Just what you deserve for your hard earned money. For more Questions and Answers you can visit our FAQ page. I'm so happy of this carpet cleaning service.Now i regret that didn't made some photos of my old carpets so the people can see how huge is the difference.I was thinking to throw the whole carpets in the bin,but my house has 4 bedrooms and a lot of stairs so that was not an option in my case.Whether you believe me or not,my old carpets looks like a brand new now and i have saved a small fortune.The only small problem i had with Fox Cleaners is that the booking was for 3 o'clock,but they showed up near half past four.I asked them to make me a discount for the delay,but the person said that they have fixed rates.Because of that i will give them 4 stars only,but i would definitely recommend the company to my friends. Hi,I have used Fox Cleaners and want to admit that this is the best cleaning company around here.I don\'t say that just because they have cleaned my carpets very well,i\'m writing this review because they gave me something which is very rare this days.Let me tell you my story - 2 months ago me and my wife took a decision to clean the entire house i mean inside and outside.My best friend gave me the contact details of Fox Cleaners and i book them for next day carpet cleaning.They came and finished the whole job for 3-4 hours.Anyway,i paid them with a check and they left.Few days later i had a call from the company and the guy said that the check is not valid.I have called my bank and found that my boss didn\'t paid my salary and there were no enough funds to cover the check.In short - i have paid Fox Cleaners after 2 weeks and they didn\'t rush me during that time at all.So my conclusion is that these guys are great carpet cleaners but they are also a great humans on a first place.